P.O.A. AUCTION 139.503 Acres M/L * $2,000 per Acre MINIMUM BID !!! * Production Oil/Gas Well * As Agents for Terry G. Watson, Carlene Watson, Attorney in Fact, has ordered the following farm to be sold as a whole on the premises * Sat., Nov. 9, 2013 * 10:00 AM * Located in Fairfield County, Rush Creek Township at the corner of State Route 37 & Locust Grove Roads, Bremen, Ohio 43107. The farm is situated approx. 7.5 miles East of Lancaster & approx. 3.5 miles West of Junction City, Ohio. Green Acres at it Best! Here's a rolling, mostly level farm producing soybeans this year that appear tree top tall! What a "Killer" farm with abundant road frontage on 3 different roads being sold as a whole. 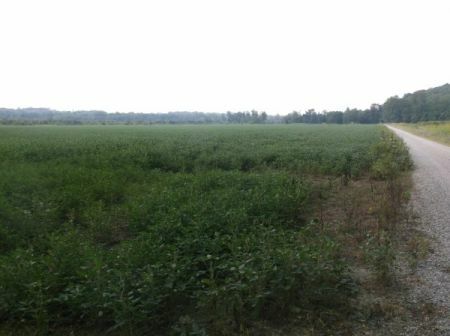 this farm totals 139.503 acres according to Fairfield Co. 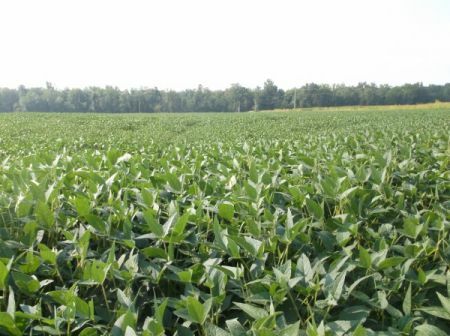 Auditor and the FSA Office reports 141.79 acres of farm land; 84.02 acres of cropland, corn base 43.4 acres, 83 acres direct yield, soybean 21.7 acres bean base, 32 acre direct yield; total base acres according to ASA Office is 65.1. The Fairfield Co. Auditor reports the soild types are a mixture of GNB, SCA & some HNC2 soils; Parcel No. 0340023300 & 340001100; Legal Description may be found in Vol. 418 Pg. 214; Taxes are $1,196.59 annually. Outdoor Enthusiasts will enjoy the nice woodland with the small stream meandering through the property. Income: The oil-gas well is income production and Bruce Kelly with "Barclay" is the producer, 740.569.7287. All royalties will transfer with the sale of the property. The mobile home is rented at $350/mo. which is located at 11195 Purvis Road & this property has a drilled well & septic - Tennant Rights Apply. The frontage along State Route 37 is approx. a half mile. Please feel free to view this farm during any daylight hour but PLEASE do NOT enter into the soybean cropland & disturb production. Real Estate Terms: Min. Bid $2,000 per acre; taxes prorated to day of closing; possession of farm land on/before Dec. 31, 2013; tennant rights apply to mobile home rental; no buyer contingencies exist; Auditor's Value for these 2 Parcels is $616,810.00; property sold in present as-is condition with all faults; offered free & clear prior to closing; All information provided is to be utilized only as a guide. Buyers are responsible to conduct any inspection, inquiry, investigations and due diligence regarding to property.